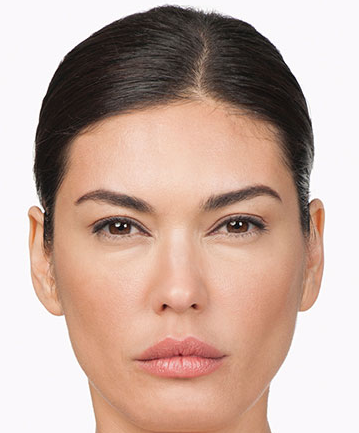 Anti-wrinkle injections are a revolution in non-invasive facial rejuvenation. At Avenue Advanced Skin Care, we offer expertise in comfortable, safe, and precise anti wrinkle injections Melbourne wide. Treatments only take approximately 20 minutes and provide smoother skin for 4 to 6 months, with visible results immediately. Treatments involve an injection of a natural, purified protein to relax the muscles responsible for wrinkles. Our clinic also provides additional facial treatments such as our scar removal Melbourne services. For further information on the anti wrinkle injections Melbourne treatments we provide, contact Avenue Advanced Skin Care today. How do we ensure a natural result? It all comes down to experience. Our highly qualified injectors have precise knowledge of facial aesthetics and muscles, allowing them to target specific wrinkles with incredible accuracy. Our expertise means we can soften unwanted wrinkles while preserving your unique personality and facial expressions. Applying our experience and advanced techniques, we are able to treat almost any area of the face so that you can achieve results of the highest quality. A small pin-prick sensation can be felt with each injection, but the procedure is very quick and easy. How many units do I need? Can this ever change? The dosage required varies greatly from person to person. This will be determined in your initial consultation. The dosage amount may also change over time depending on lifestyle factors, age and desired result. Do men need more anti-wrinkle injections than women? Generally speaking, men have stronger facial muscles than women, so therefore require more anti-wrinkle injections to achieve a satisfying result. Our Injectors will perform an assessment to analyse the strength of your facial muscles and the amount of dosage required. Occasionally, a tiny pinpoint bruise may appear at the site of the injections. This can be covered with make-up if needed. There is usually some transient redness and swelling of the treated area (similar to a mosquito bite), and this usually lasts for less than half an hour after the treatment. Can I resume normal activity after the treatment? Normal daily activities may be resumed after the treatment. However, it is best to not lie down or touch the treated areas for 4 hours. Exercise should be avoided for 24 hours post treatment. 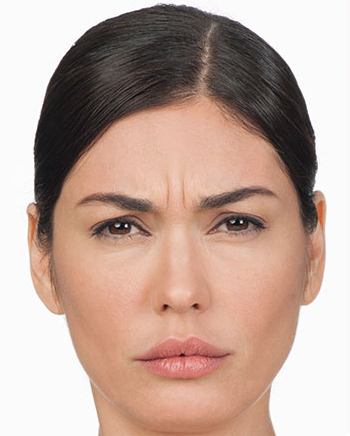 The effects of anti-wrinkle injections are generally seen after one to two weeks. Over time, you will notice a gradual relaxation of the muscles treated. In some patients, this can start at two to three days, but may take up to two weeks to be very noticeable. The duration of the results depends on the dose and units of anti-wrinkle injections administered. Results can last up three to four months. Studies have shown that anti-wrinkle injections are more effective and last longer when administered at regular intervals of between three and four months, as the muscles progressively weaken after each treatment. If treatments are stopped, the muscle function will return to normal, and any lines or wrinkles will return to their previous state. For safe, effective and precise anti-wrinkle treatment in Melbourne, contact our clinic today on 1300 235 420. Anti-wrinkle Injections to treat frown lines. Results may vary from patient to patient.